Time to test your visual and observational skills. Here is the interconnected cup in which we want to fill water. Cup numbered 1 getting water and it is distributed to other cups as shown in the picture. 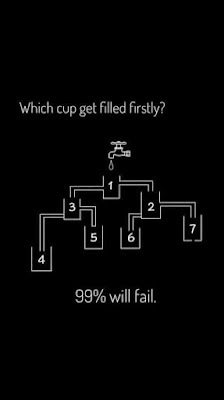 Can you observe this picture carefully and tell which of the cup will get filled first? 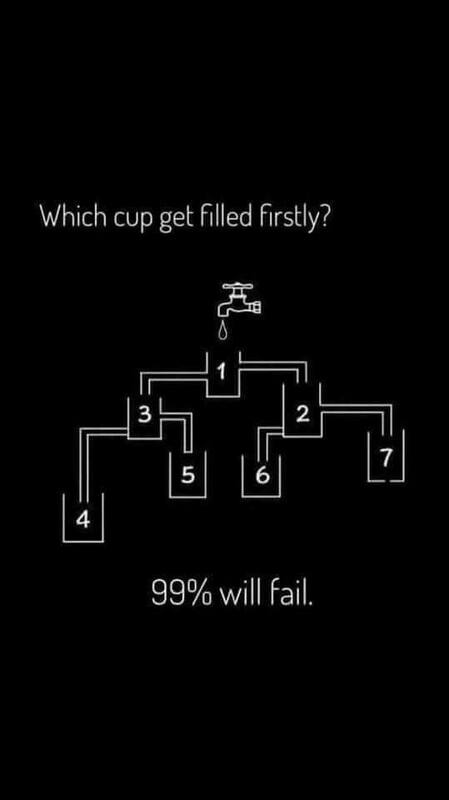 Which Cup get filled firstly? The Answer is 5. Cup 7 is leaking. Exit to cup 4 & 6 is blocked.